Acne affects up to 50 million Americans each year. Whether it happens when you’re very young or well into adulthood, acne can mar both your appearance and your self-confidence. 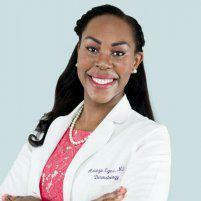 At Humble Dermatology in Humble, Texas, board-certified dermatologist Adaeze Egesi, MD, is an expert in treating acne using the most effective and advanced methods. Get acne relief now by booking online or calling the office for your appointment. Blackheads and whiteheads are the noninflammatory forms of acne. While they're frustrating, they're less serious than inflammatory acne, such as papules, pustules, nodules, and cysts. It’s common to have a mixture of acne types at one time. Acne usually happens when your body produces too much oil. The oil combines with dead skin cells to plug your hair follicles and create bumps. Sometimes bacteria gets trapped below your skin to make acne more severe. Hormone fluctuations are another reason for acne, especially in teenagers. Certain things can make acne worse, including heavy moisturizers, oil-based makeup, stress, and picking at your face. How does the dermatologist treat acne? Oral medication options include antibiotics, antiandrogen drugs to block hormone production, and oral contraceptives. For severe chronic acne, Dr. Egesi may prescribe isotretinoin drugs like Amnesteem®, Claravis®, or Sotret®. 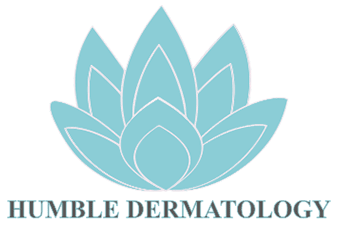 Humble Dermatology offers a variety of other acne treatments, including chemical peels, laser treatments, and MDPen™ microneedling for acne scars. Your treatment may include several of these options. For example, chemical peels to smooth your skin and topical or oral medications to keep it that way in the future. If you combine Dr. Egesi's lifestyle tips with customized acne treatment, you can eliminate current breakouts and prevent future ones as well. Use the online booking tool or call to schedule your acne treatment at Humble Dermatology now.